Andhra Pradesh: Natural Farming enables farmers to cut costs and improve yields but is it scalable? 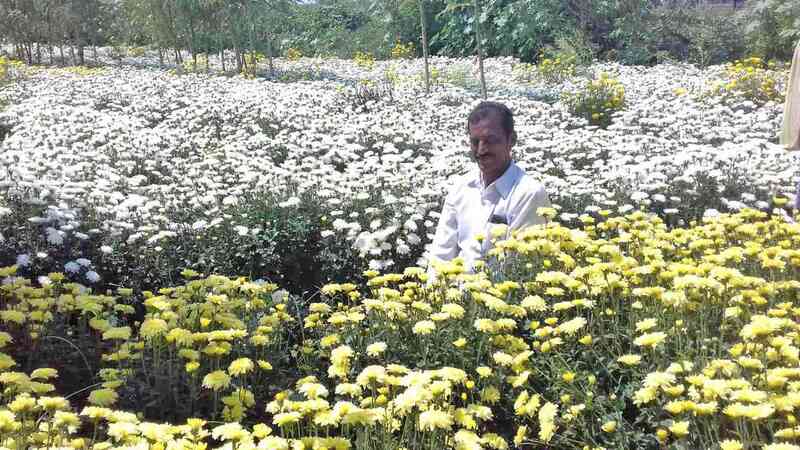 V Chandrasekhar Reddy, a farmer in Andhra Pradesh’s Kadapa district, has been reaping rich dividends since moving away from conventional farming. For the past four years, he has been using traditional seeds on his 11-acre farm. He has replaced chemical fertilisers and pesticides with those made from waste generated by cattle and other locally available material. Called zero-budget natural farming, or ZBNF, it has reduced Reddy’s reliance on the market and, thereby, his cultivation costs. It has significantly improved crop quality as well. Reddy is among thousands of farmers across Andhra Pradesh who are transitioning to ZBNF under the Andhra Pradesh Climate Resilient Zero Budget Natural Farming programme. ZBNF is one of several agroecological approaches that focus on minimising external inputs by using resources available in the local ecosystem – so as to make farming sustainable and environment-friendly. Andhra’s programme aims to cover all 80 lakh hectares of cultivable land in the state by 2024. It was launched in June 2018, following a three-year pilot project spread across 700 villages. Scroll.in travelled to several villages to see how the programme is being rolled out on the ground, its impact on farms and farmers, and the challenges it faces. The shift from conventional farming to agroecology is both timely and necessary, according to environmental agencies such as UN Environment, academics and activists. This is because decades of chemical-intensive conventional farming have ravaged soil fertility and groundwater resources in large parts of the world, while farmers have been battling rising input costs, falling productivity and extreme weather events on account of climate change, effectively making agriculture unsustainable for small and marginal farmers. Andhra’s programme aims to improve soil health, environment and biodiversity, while augmenting food security and farm livelihood, including of landless agricultural workers. “It is a programme with very high societal returns – welfare of farmers, health of consumers and protection of the environment,” said T Vijay Kumar, agriculture adviser to the Andhra Pradesh government who is leading the ZBNF programme. On the ground, the programme represents a massive challenge. Andhra was the highest consumer, by volume, of pesticides in 2011-’12, before Telangana was carved out of it. Since most of its farming remains chemical-intensive, the state must work with 60 lakh mostly small and marginal farmers across 12,494 gram panchayats, convincing and helping each of them to transition to local resource-based farming. According to government documents, 3.5 lakh farmers across 3,015 villages were practising natural farming in September 2018. Surveys conducted by the ZBNF project team in 2017 showed 88% of the farmers who transitioned to natural farming saw an increase in income as well as yield, while another 10% reported a dip in yield but an increase in overall income on account of reduced input costs. The programme is being implemented through Rythu Sadhikara Samstha, or Farmer’s Empowerment Organisation, a not-for-profit company established by the government in 2014. The state agriculture commissioner serves as the company’s chief executive, while Kumar, the agriculture adviser, is one of its vice chairmen. At the district level, the programme is implemented by joint directors of the agriculture department. They work with NGOs which in turn identify and work with farmers best suited to adopt natural farming, so as to create the first rung of best-practising master farmers. Most of the farmers selected for training as master farmers have previously participated in the Community Managed Sustainable Agricultural Programme, which ran in the state from 2005 to 2014. Kumar said NGOs play a central role given their contacts and experience working on the ground. The NGOs help create women’s self-help groups, promote farmer producer organisations and work with them to put in place the Participatory Guarantee System. Under the system, farmers declare their produce as organic as opposed to a third party certifying it as such. The NGOs also help the agriculture department link farmer producer groups to the market, so that farmers can sell their produce directly to consumers at better prices. There are many practices like mulching (covering the top soil to preserve moisture) and intercropping that ZBNF shares with other agroecological methods. There are crucial difference as well. For example, while ZBNF emphasises the use of biofertilisers and biopesticides made from the waste generated by indigenous cows, organic farming relies on vermicompost for the same purposes. In October 2018, a group of civil society representatives wrote to Kumar expressing concerns about the exclusive promotion of ZBNF over other agroecological methods such as organic farming and jaivik krishi that are more suited to particular agroclimatic regions of Andhra. Kumar replied that the government was promoting ZBNF “because its principles are sound and time-tested”. It “scores well in its acceptance by farmers, particularly small and marginal farmers, it’s highly affordable and does not have any entry barriers,” he explained. In fact, ZBNF was popular in parts of Andhra Pradesh much before the natural farming project was started, largely because of the training camps conducted by the agriculturist Subhash Palekar under the Community Managed Sustainable Agriculture programme. Palekar emphasises four key “wheels” of ZBNF – jeevamrutam (fermented microbial culture made from dung and urine of desi cows, jaggery, flour and soil for application on crops); beejamrutam (microbial coating of seeds using desi cow dung, urine and lime); mulching (covering top soil with crop residue); whaphasa (soil aeration). On the ground, Scroll.in found ZBNF being used as an umbrella term for a range of local practices. For instance, master farmer from the T Vellampalli cluster in Kadapa, said most farmers in his village use the dung and urine of goats to make the formulations as none have desi cows. “I also use another microbial culture made from fish waste and jaggery on my farm,” he added. R Ramanjaneyulu of the Centre for Sustainable Agriculture, a partner NGO in the programme, said resources for strict adherence to the four wheels are not available in many villages. So, they are encouraging farmers to use the next-best available alternative. “We are guided by two principles in this: that formulations be prepared based on the local resource pool and that farmers must adopt agroecological practices based on clear understanding,” he said. Ravindra, a block level coordinator for the programme in Kadapa, said, “The availability of traditional seeds is a major problem, but we have been working with farmers to pool together locally available varieties and develop seed to seed farmers and seed banks. 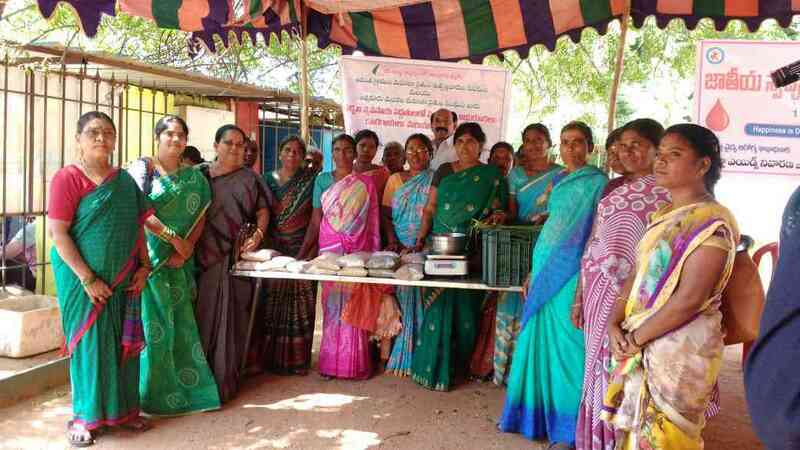 T Parvatamma of T Vellampalli cluster said master farmers like him “handhold farmers through this transition process, organising daily screenings of instructional videos in villages using portable projectors, demonstrating best practices, and holding training camps”. Improving livelihood and food security of landless agricultural labourers is one of the key objectives of the programme. In Anantpur district, an NGO called the Rural and Environment Development Society has helped create two women’s self help groups. “Some [of the members] are widows of tenant farmers who committed suicide, some are divorced and none have land in their name,” said C Bhanuja, who works with the NGO and helped set up the groups. The two groups, trained under the ZBNF programme, secured one-time grants of Rs 1.2 lakh and Rs 2.5 lakh from urban citizens’ groups, enabling them to lease eight and 18 acres of land respectively. The women started collectively cultivating millet, pulses, groundnut and vegetables. Most of the produce was used to meet requirements of their own families. “This season though, they managed to produce some surplus and sell it in the local market,” said Bhanuja. To maintain records of the programme, the lead farmers in each cluster of villages are given access to a specially-designed mobile app called Blue Frog. The app records data, alongside qualitative reports, on the impact of the transition from the field and helps the agriculture department and NGOs monitor progress and plan interventions. 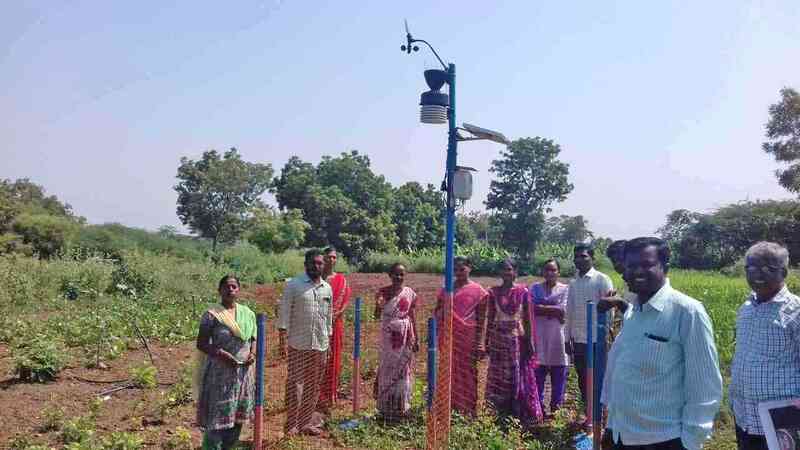 In mid-2018, the Centre for Sustainable Agriculture started testing mini weather monitoring stations at a few villages to study how the transition was affecting soil and air health. Each station, costing around Rs 70,000, records temperature, rainfall, air moisture and air flow every six-nine minutes. “We will assess the results of this pilot project and see if it can become a part of the digital surveillance system [to collect real-time data on soil and weather conditions, farming practices] being put in place to monitor the programme,” Kumar said. The Andhra government intends to bring 5 lakh farmers (8% of the state’s farmers) into the programme by 2021-’22. The transition costs are around Rs 1,250 crore, mostly on account of salaries, training and financial assistance to self-help groups and farmer producer groups. Funds for the programme are currently being drawn from central and state agriculture department schemes such as Paramparagat Krishi Vikas Yojana and Rashtriya Krishi Vikas Yojana. 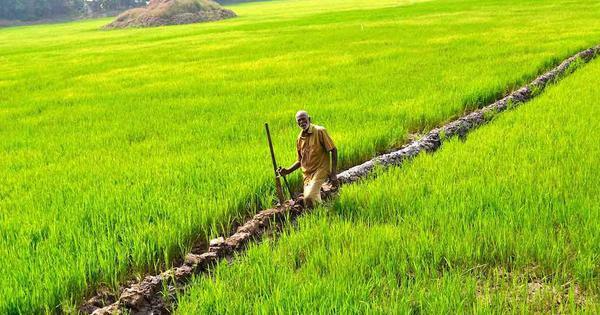 Scaling up the programme to cover all of Andhra’s 60 lakh farmers will require $2.3 billion (around Rs 17,000 crore at the current exchange rate). The state government is trying to raise this money from a range of sources, including multilateral agencies, financial institutions and the global market. Critics fear this may further commercialise the agricultural sector and take control of agriculture away from farmers, thus effectively going against the objective of the programme. This is the first part of a two-part series on natural farming in Andhra Pradesh.